A bag of butter beans on the kitchen shelf was the inspiration for this month’s Irish Foodies’ Cookalong. Soaked overnight, then thrown into the pot by themselves – or with some onions, carrots and celery – for about an hour the next morning, the beans needed little attention other than checking the water level every so often. 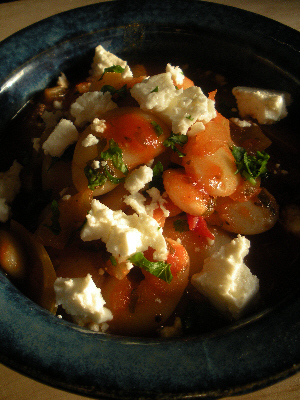 And that’s the hard work done for this Greek Bean and Tomato Stew, which is based on a recipe by great Australian cook Jill Dupliex. The rest of the prep just involves making a simple tomato sauce, adding the beans and serving with some feta sprinkled over. 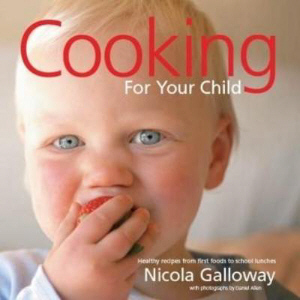 Nicola Galloway may be based in Nelson, New Zealand, but this no-nonsense, practical cookbook will appeal to parents in any hemisphere. From first tastes and flavors to school lunches and dinnertimes, there are plenty of ideas here for feeding children of every age group as well as recipes you can adapt for the entire family.